RAYS LX, developed by Sun Wah Hi-tech (Nanjing) System Software Limited, was the first commercial operating system in China that was based on Debian GNU/Linux and utilises Debian package management tools. RAYS LX provides users with a simple and stylish user interface by adopting the GNOME desktop environment. A variety of applications in RAYS LX helps users fulfilling their demands for Linux migration. 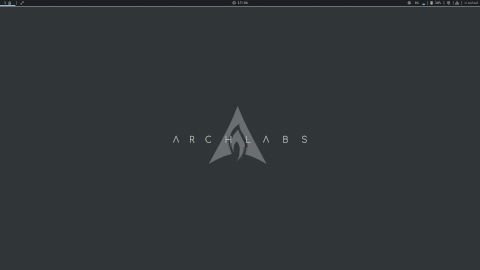 Rate this project ArchLabs is an Arch Linux-based distribution featuring the Openbox window manager. Matt Dobson has announced the release of new installation media for ArchLabs bearing the version number 2017.12. Early versions of ArchLabs featured the Calamares graphical system installer, but the newest version swaps out Calamares for an alternative installer called ABIF. "The biggest addition to ArchLabs this time around is the removal of Calamares and the re-appearance of ABIF. There are a couple of reasons behind this. Firstly, both Nate and I prefer ABIF as our method of installation and secondly, we managed to trim down the ISO by a few more MBs. ABIF has been fine-tuned to suit ArchLabs needs and is a bit more of an in-depth way of installing ArchLabs. Don't be scared off by ABIF, it is surprisingly simple to use. For those of you who have never used ABIF, you will be able to find a walkthrough in the next coming days at our forum." Further information can be found in the project's release announcement. Download (MD5): archlabs-2017-12.iso (891MB, pkglist). Matthew Dobson has announced the release of ArchLabs Linux 2018.12.17. Originally a minimalist, Arch-based live distribution with Openbox, the latest release of ArchLabs Linux is a radical departure from the original concept as the distribution is now designed for users who like to customise their system during installation. Version 2018.12.17 is provided as an installation image only and it introduces a comprehensive selection of options, including a fine-grained choice of desktops/window managers (bspwm, Cinnamon, dwm, i3-gasp, GNOME, KDE Plasma, Openbox and Xfce) and applications: "The Team and I are happy to present the ArchLabs 2018.12 release. It has been almost six months since our latest release and this one brings a different approach. We have decided to do away with the live environment. When you start your USB install you will be thrown straight into the installer. Instructions on how to start the installer are right there. No need for passwords with this live USB either. Most of the changes with ArchLabs this release is under the hood but we do have some other more obvious changes." Read the full release announcement for further details. Download (MD5): archlabs-2018.12.17.iso (824MB, pkglist). ArchLabs is an Arch Linux-based distribution featuring the Openbox window manager as the default graphical user interface. The project's latest release, ArchLabs 2018.05, removes LightDM and swaps out the deprecated gksu software in favour of pkexec. "LightDM has been completely removed, as a result you will be auto-logged in to your desktop. For those who prefer to use LightDM, you can reinstall this from AL-Hello. Openbox has been set as default but you can change this by editing your ~/.xinitrc and changing your session to your preferred WM/DE. All ArchLabs related packages have been refreshed. Jgmenu especially has had an update and is in fine form. We are really happy with jgmenu, it is developing into one of the best menu utilities out there for Linux. We have a new default wallpaper, created by Karl Schneider, considerable inspiration (as usual) comes from BunsenLabs and this time Manjaro and their new Openbox spin had an influence on the outcome as well. Neofetch has been removed and replaced with Al-Info, this can display an ASCII ArchLabs and your system information." Additional information can be found in the distribution's release announcement. Download (MD5): archlabs-2018-05.iso (942MB, torrent, pkglist). ArchLabs is a rolling release distribution based on Arch Linux and featuring the Openbox window manager as the primary desktop interface. The project's latest release, ArchLabs 2018.02, features several small changes which streamline and improve the user experience. "Introducing ArchLabs Linux 2018.02. As usual we have a few improvements and changes. Firstly we removed GoRice, the addition of GoRice was more of a novelty than anything and as a result has been removed as it served no purpose other than a bit of fun. AL-Hello has again undergone a major overhaul, one of the best changes is that the additional installation options is now a multi-choice screen rather than a paginated multi- screen affair. Another major change is to how obmenu looks after your menus. Pipemenus now control the content of your standard obmenu. There is also an option added to the menus that contain no apps to install; clicking this will take you directly to Pacli where you can install your preferred application." Further information and screen shots can be found in the project's release announcement. Download (MD5): archlabs-2018-02.iso (919MB, torrent, pkglist). Matt Dobson has announced the release of a new version of ArchLabs, a 64-bit distribution based on Arch Linux and featuring the Openbox window manager. The new release makes use of a long term support kernel and ArchLabs specific packages have been added to the project's own repository from the AUR community repository. "A major change is the move to the LTS Kernel, hopefully this will provide us with even further stability as there are less frequent updates and changes to the LTS as opposed to the latest kernel. Another major change is the repackaging of ArchLabs specific packages. These have been signed with our GPG signatures and keyring and added to our own ArchLabs repository. Pacman will still update these packages as normal. This aids in reinstall time as you will no longer have to rely on any AUR packages on a fresh install. Calamares has been updated to the latest version, this brings a new user creation section, fixes and improvements to language, locale and keyboard support." The project's release announcement has further details and screen shots. Download (MD5): archlabs-2017-10-lts.iso (922MB, torrent, pkglist). ArchLabs is an Arch-based Linux distribution featuring the Openbox window manager. The project's latest snapshot, ArchLabs 2017.09, introduces several new changes, including a welcome script which runs when the user first logs in: "Mínimo has under-gone some fine tuning, mainly with the addition of a brilliant Hello/Welcome script written by Nate. Known as AL-Hello, this script will aid in (for those of you who are in a hurry, or just can't be bothered installing one by one) the addition of extra software that we don't include out of the box. You can install up to 60 different apps and utilities, including image and video apps, web browsers, editors office apps and many more. As well as installing apps with the new AL-Hello script you can choose your default panel, be it Tint2 or Polybar. Install NVIDIA or Bumblebee drivers as well. Super easy." A detailed list of changes, along with screen shots showing off new features, can be found in the project's release announcement. Download (MD5): archlabs-minimo-2017.09.iso (912MB, pkglist).